Yes of course Thomas Piketty is wrong, why do you ask? 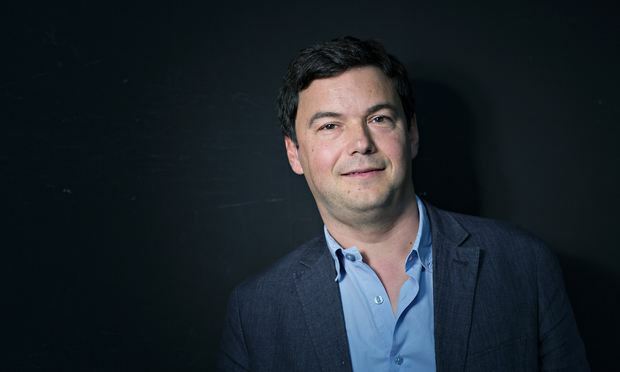 It was obvious from the moment of publication that Thomas Piketty was wrong. Simply because the world just does not resemble his dystopia of a capitalist plutocracy. The much more interesting work has been picking apart his assumptions and arguments to work out why he is wrong. Our own opinion is that it's an entirely political work. Standard optimal taxation theory states that we shouldn't be taxing capital or capital incomes (rents are another matter). This is unacceptable to certain political types therefore an argument, any argument, for taxing capital and capital incomes must be constructed. The End, Finis. But then suppose that capitalists decide to spend some of their r on fancy cars and yachts. There would be a split between the rate of return on capital (which is still r), and the rate at which capital grows (which will be now equal to r*=sr where s is the average saving rate out of capital income). It is then very clear that if capital does not increase as fast as output, the share of capital income in total net output (Piketty’s alpha) may not increase. It is at its most obvious if we assume that s=0. Then capitalists spend their entire income, the capital stock does not grow at all, and if the growth rate of output (g) is positive, the capital/output ratio will go down, and Piketty’s alpha will decline. Notice that all of this happens while r>g still holds in the background (on the production side). If capitalists spend some of their income from capital then while the return to capital can be more than the growth of the economy, it does not necessarily follow that capital will ever increase sa a portion of that economy. Simply because some of that return is consumed, not spent. And it seems a reasonably logical idea that people would consume some of the income from their capital. No point in being rich if you don't have hot and cold running redheads Ferrari Testarossas after all. As it happens the empirical evidence is that said capitalists do in fact spend some part of their income, do not save it all. And they spend a sufficient amount of it that capital is not becoming an ever greater part of the economy. Piketty is wrong, it ain't happening. All of which accords with the general advice given to people with savings in fact. Sure, you want to reinvest some of your returns because there's this thing called inflation. Meaning that some part of your current returns are in fact illusory, and you need to reinvest some part of those returns to make sure that your income in the future is the same, in real terms, as you've got now. But once you're managing that, sure, go buy that redhe sportscar. That is, capital maintenance and the best living standard possible compatible with that is how the rich, just like everyone else, seem to act. Thus capital doesn't ever concentrate.